Your homocysteine level is the single most important statistic you need to know in order to determine how healthy you are and how long you will live. Your 'H level' is now widely understood to be a greater risk factor for heart disease than cholesterol. 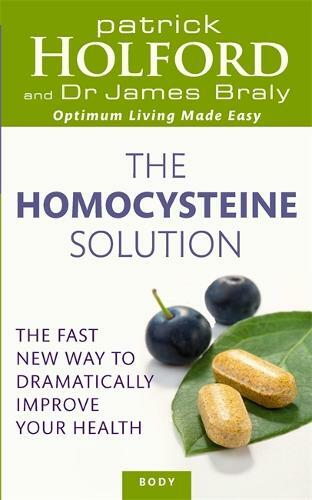 Homocysteine expert Dr James Braly has shown that a high homocysteine score is a major risk factor for cancer, arthritis and even obesity. In this accessible book Dr Braly and leading nutritionist Patrick Holford show you how to assess your H level and suggest 10 remarkably simple changes to your diet and your lifestyle that will lower your score and dramatically cut your risk of ever having cancer, heart disease, diabetes, arthritis and many more serious ailments. Learn how to: test your homocysteine levels; reduce your risk of disease; slow down the ageing process; improve your health; and radically increase your life expectancy.